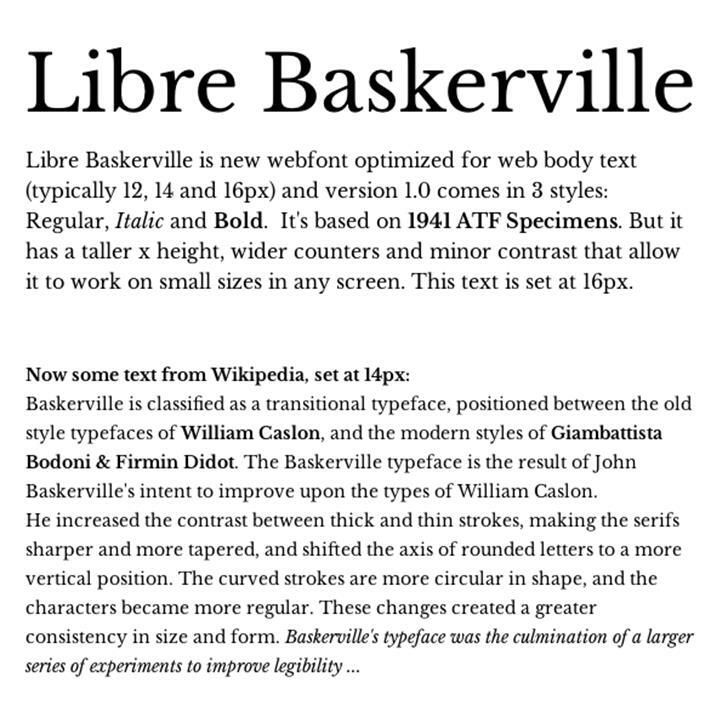 Baskerville is one of my favorite faces. This new rendering is outstanding. I would love to have this set for my letterpress work. 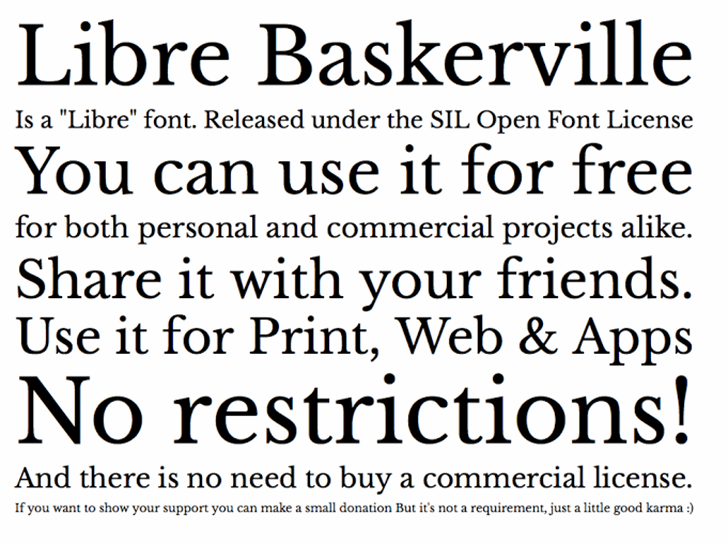 Copyright (c) 2012, Pablo Impallari (www.impallari.com|impallari@gmail.com), Copyright (c) 2012, Rodrigo Fuenzalida (www.rfuenzalida.com|hello¨rfuenzalida.com), with Reserved Font Name Libre Baskerville. Version 1.000; ttfautohint (v0.93) -l 8 -r 50 -G 200 -x 14 -w "G"